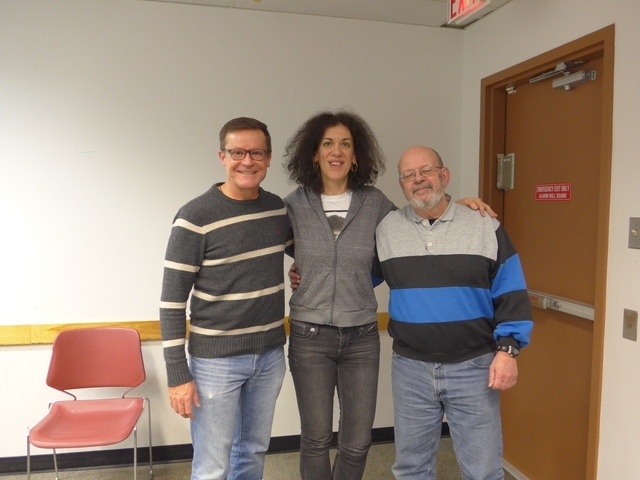 We had excellent attendance for the January VPC meeting, which was held at the Oakridge branch of the Vancouver Public Library----22 VPC members attended, including five newcomers (Connie, David, Lionel, Ray and Ricardo)! 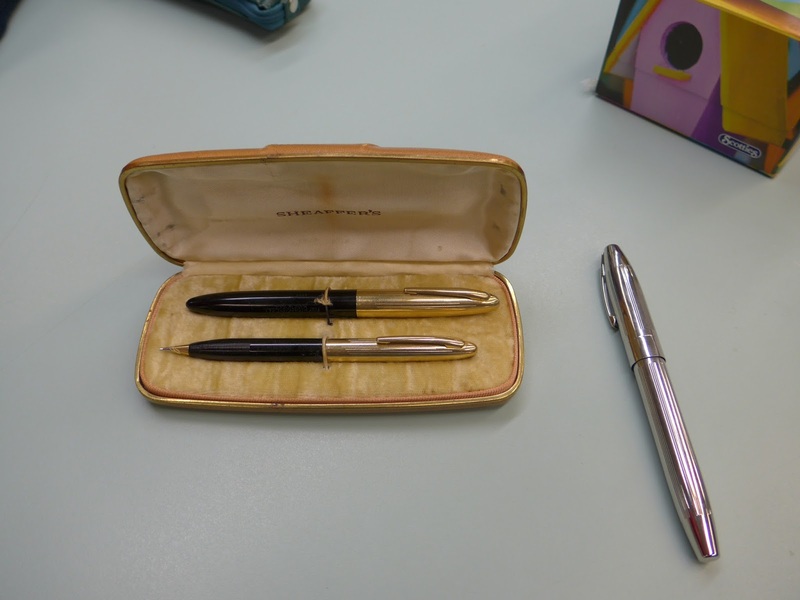 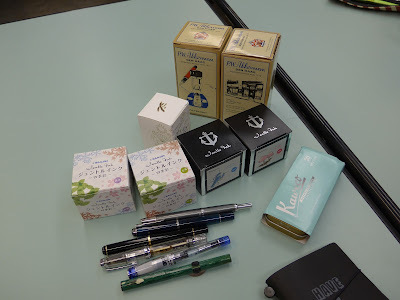 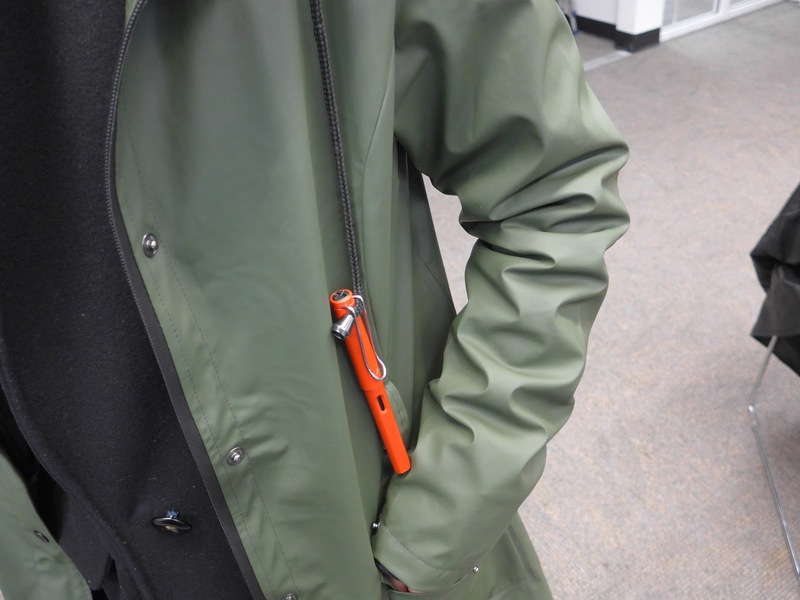 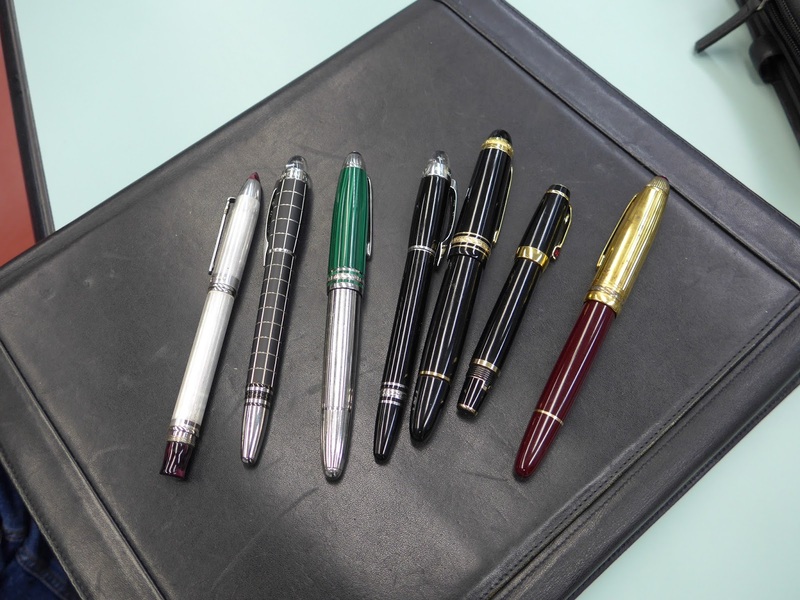 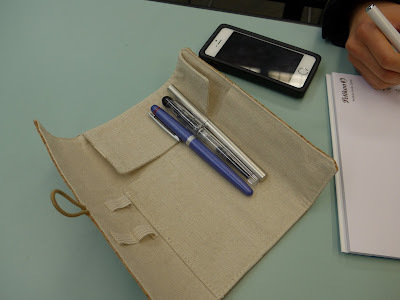 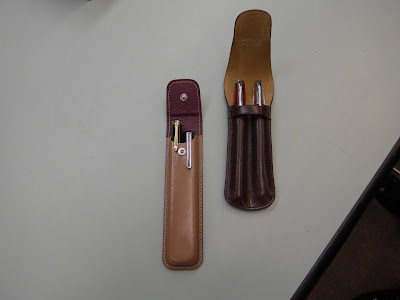 The meeting theme was "Old Friends"--fountain pens that you haven't used in a very long time, but "rediscovered"--and we saw some very interesting examples, some of which I hadn't seen before at any other meeting. 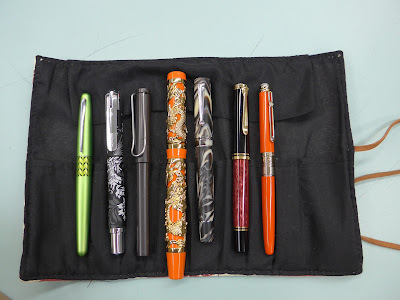 Thanks again to Paul of the Calgary Pen Club for the theme idea. 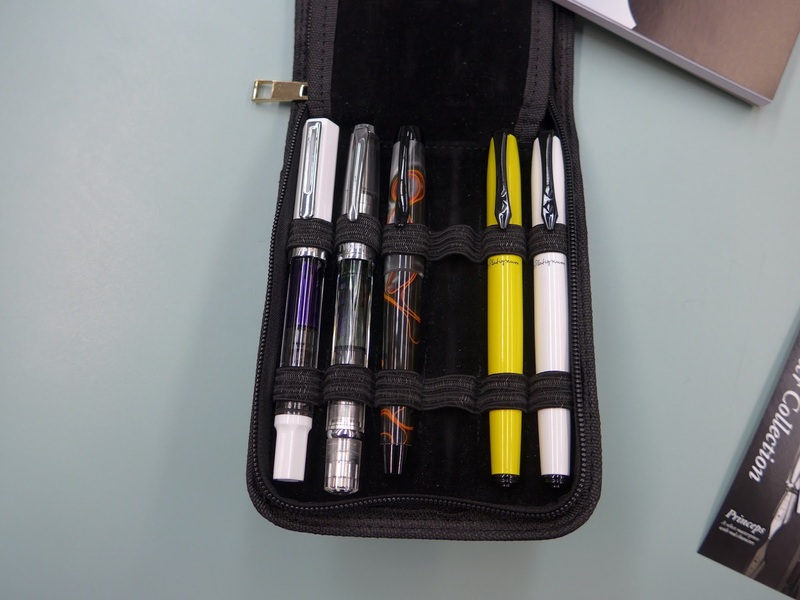 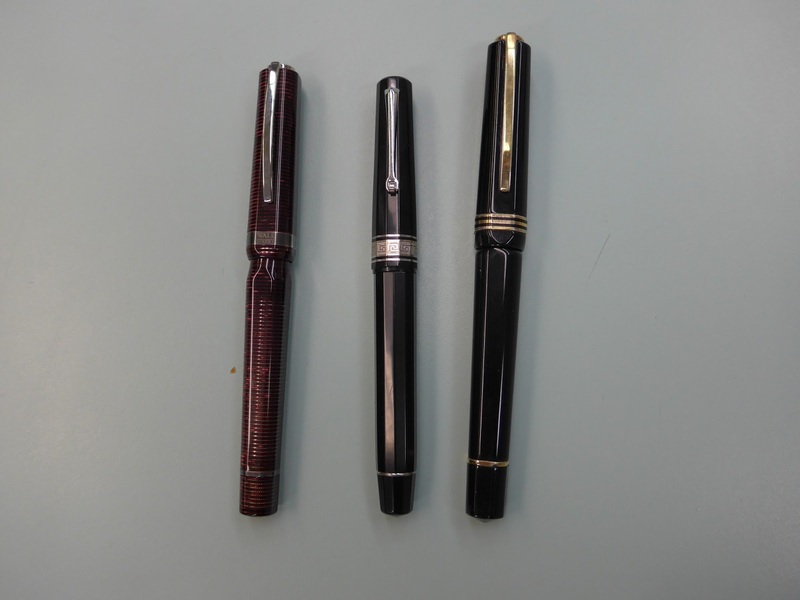 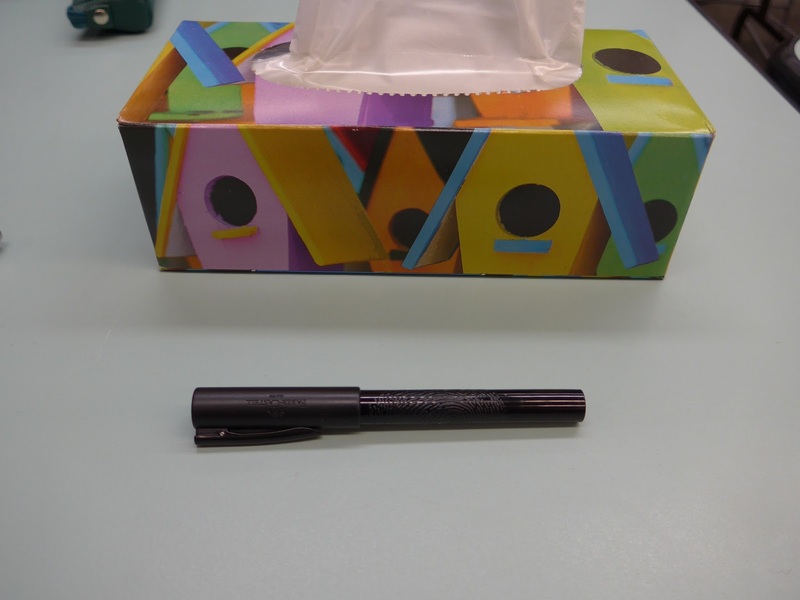 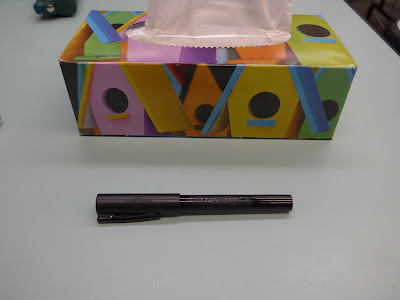 In all the excitement of our club's 10th anniversary, I forgot to photograph the pens they brought in for the meeting theme---Tim's Rotring 'Core' and Lamy '2000' and Bill's Parker 'Sonnet' --- sorry, gentlemen! 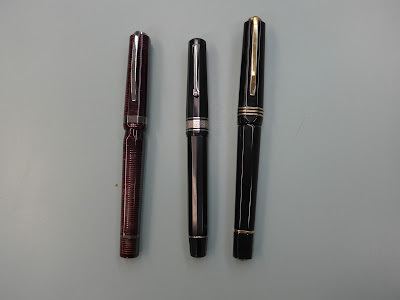 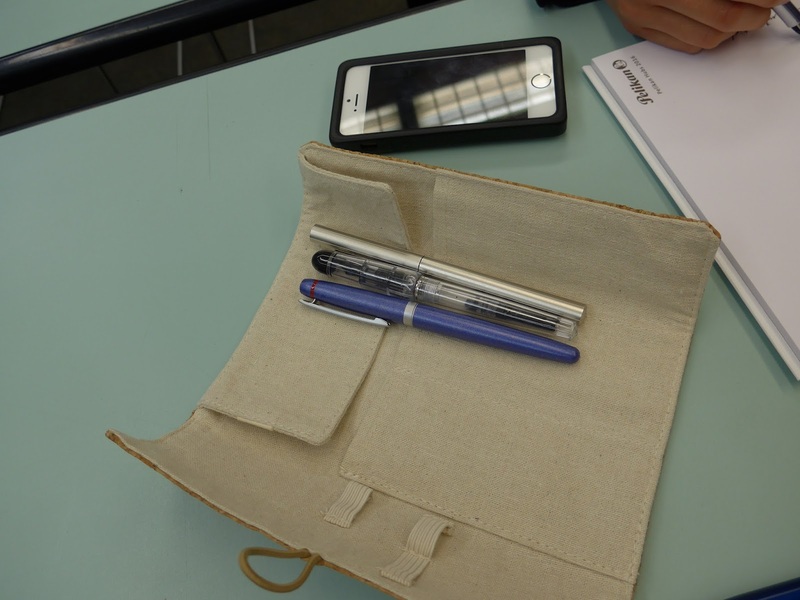 I didn't snap photos of them, but a few more of our members brought in pens for our themes---Marzieh's Monteverde 'Poquito' fountain pen, Harry's vintage Penol cork piston-filler, Justin's Parker '25' (brought in for our primary theme),TWSBI 'Eco','Gist' fountain pen by Tactile Turn (introduced in a Kicktarter campaign) and Pilot 74 Custom, as well as some really nice pens (incl. 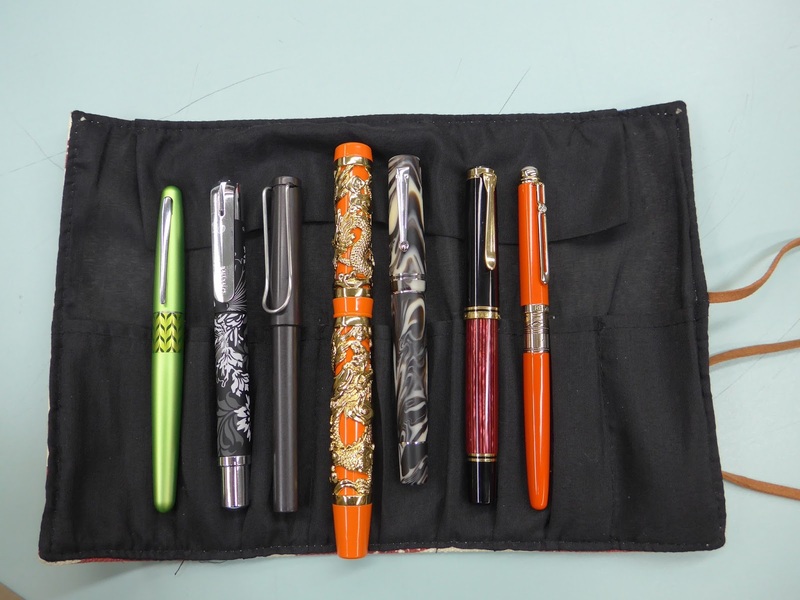 some dip pens) and a cool blotter brought in by brand-new member Angela. 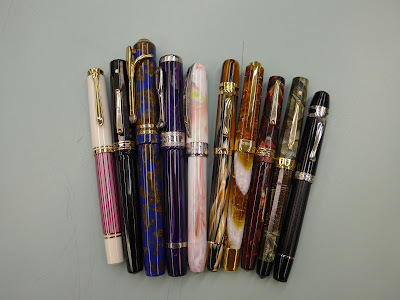 It was a busy evening, so my apologies for not snapping pics of everyone's pens. Thank you to all members who brought in stuff for our themes, and thank you to everyone who showed up at the meeting and brought their enthusiasm!